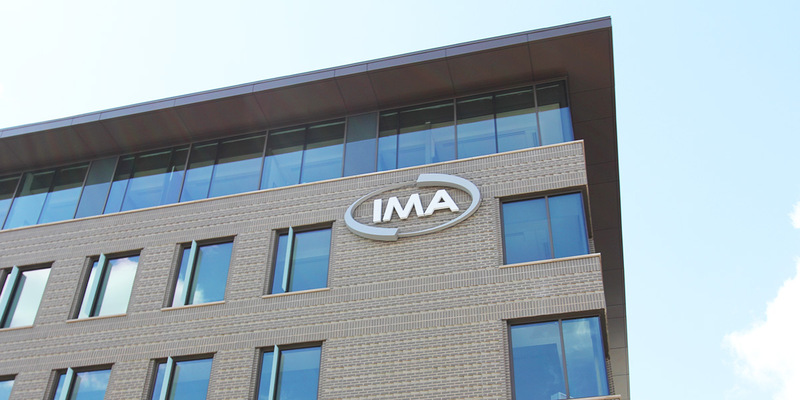 When building their new headquarters in Denver, IMA, one of the top U.S. insurance brokers, wanted to achieve a great visitor experience, and have the latest technology solutions for their internal communications. 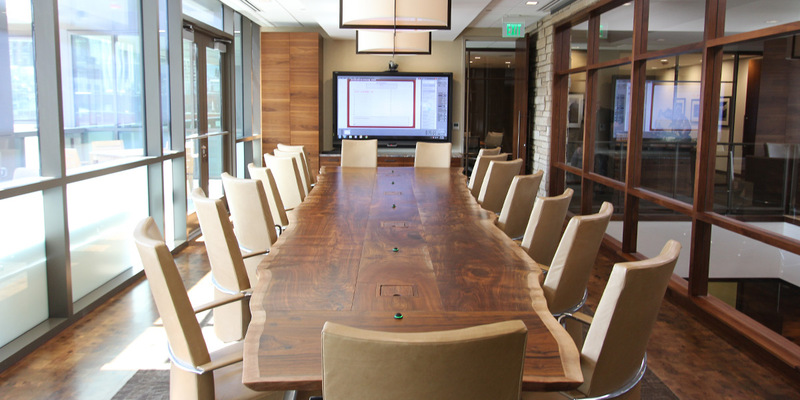 A massive 84” touch display is in the main boardroom, along with touchpanel controls that are completely integrated into a custom wood table. 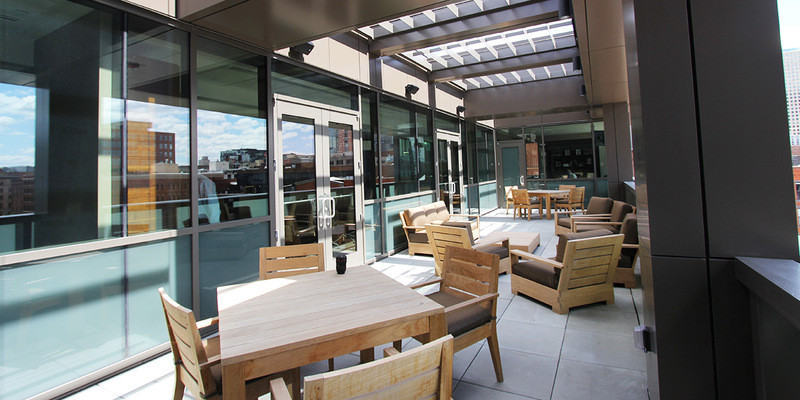 The cafe and barista area has a divisible space with mirror bounce projection systems, touchpanel controls, six displays, and two projection screens. Multiple videoconferencing rooms, recessed projection, integrated control systems and a 2x2 video wall were installed in the lobby. 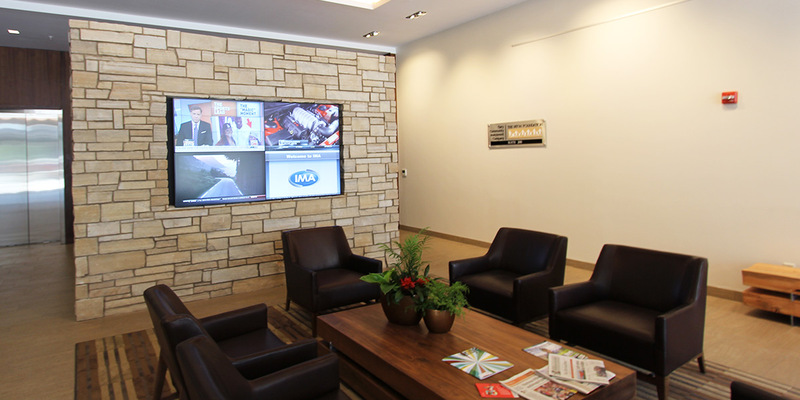 IMA also deployed IPTV, which places in-house TV channels on the network to provide a simple and dependable distribution solution across the campus.